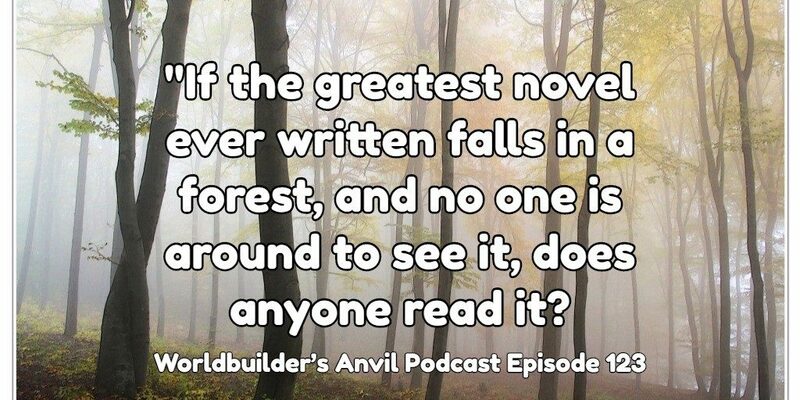 If the Greatest American Novel falls in a Forest, will anyone read it. Hey, let’s start off serious. How many authors have you read that you had never heard of before you bought their book? I have a few. Many coffee table books. And I have bought a few and had a few given to me gifts. I am much pickier with Games. If I do not know it, I will not buy it. I am stuck in my ways. Now, I have several friends who have large game collections. I will try out most games with them before I buy any. 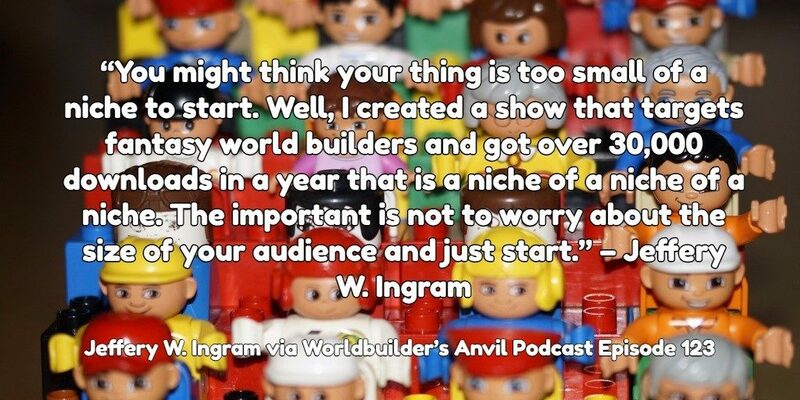 Know, Since I have started the Worldbuilder’s Anvil. I have had the chance to talk to many people who have great talents in writing, game design and other parts of geekery. There is an amazing amount of talent. Great storytellers and talented individuals all around. Many of them spend most of their waking hours working and then again on their passion of choice. Most end up doing very little with it. They share their passion with a few lucky people they know. Another lot of them release content through traditional means or through their own personal financial risk. They launch their work and then move on to the next project. Some get it, the hustle and work. However, they most have no background in business or marketing. They are creators. They love the craft. They hope or maybe even expect that the quality of their work will one day be noticed. However, the truth is that many of us will have trouble selling our products. According to Bowker Reports over 2 million new ISBN numbers were released in 2012. And the trend from 2002 to the projected 2013 numbers are grimmer the number of new releases has grown 470%. What happens if you make money? And then, what happens if your product sells. So you actually make money. You have to pay for graphics, editing, layout work and marketing. After that, the government will want you to give them a portion. You could work for years and never keep a dime. Even if you are not an author, How much money do you spend on accessories, materials, and conventions? It is lucky we love what we do because most forms of creative arts are very expensive. However, with the price of less than an hour of your time. We can get you started on a path that will help you make the most of what you do. 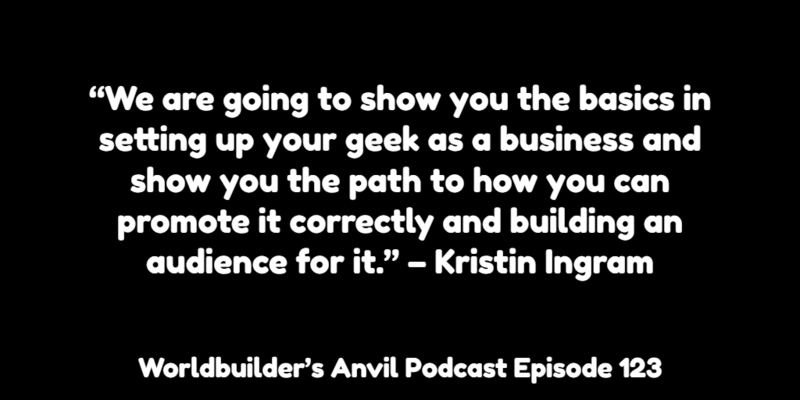 Kristin and I will show you three simple steps on how to set you geekery into a business. It is simpler than you think. It should take you less than a day and probably less than $50. We will also share with you the basics we have learned to create a foundation for online marketing. I am not trying to affiliate market you any products or services here. I am really trying to get more geeks to share more of their content with the world. 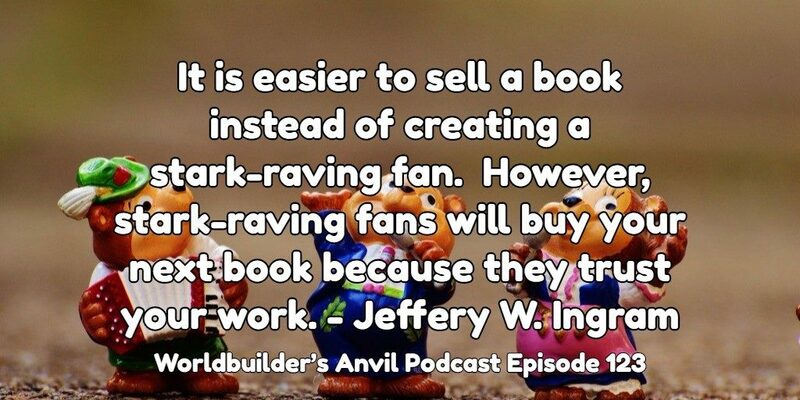 I believe many of you have fans out there who would love to buy what you should be selling. Heck, I might even be one of them. And it truly hurts me that most people will not take a few simple steps to protect themselves and try and get their art into other people’s hands. 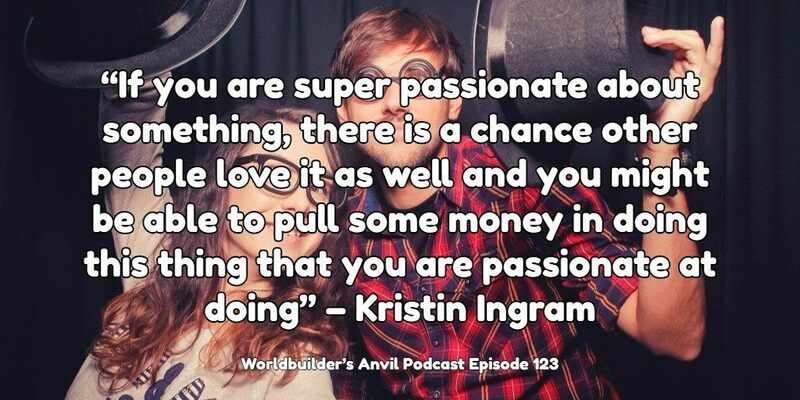 I will be joined by Kristin Ingram today. She is my co-host on another podcast called Small Biz Life. She is a CPA and the director of The Masters of Accounting and Taxation and the University of Hartford. She has spent a year working with small business on how to become more profitability. If you want to learn more about our business side, check out our business bios here. 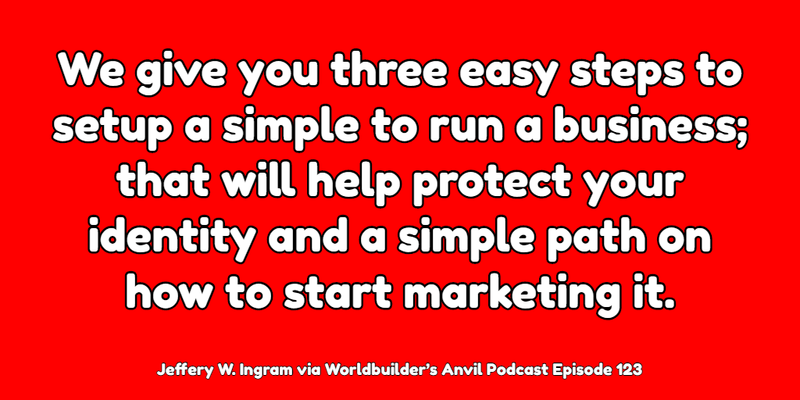 The Mechanics of how to start a business. 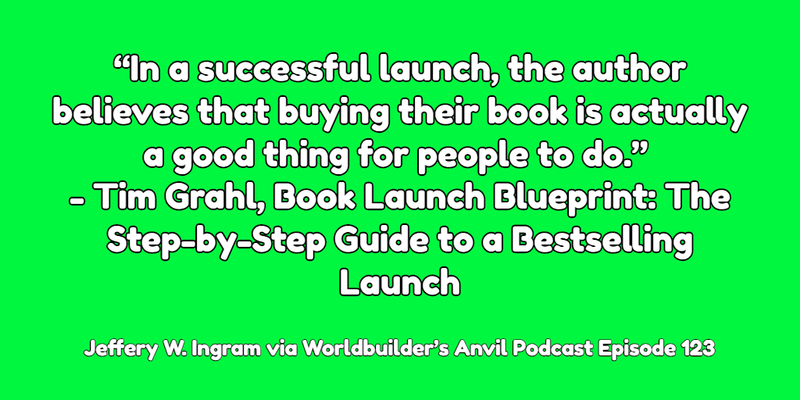 Take the time to learn what it takes to sell the book. Pick one item you have made in the past and start putting together a plan on how to sell it. Ask ten people you know; that are interested in what you plan to sell and ask them if they join your email newsletter.